Do all dead pixels go to heaven? 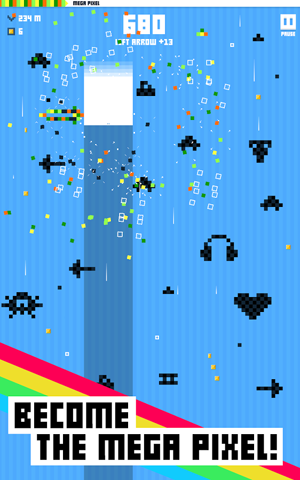 The world’s first Addictive Arcade Retro Pixel Endless Faller! When pixels collide, it’s game over! Tap to steer your plucky pixel left and right as it descends through a minefield of dangerous retro shapes to build up your meter and transform into the almighty Mega Pixel. 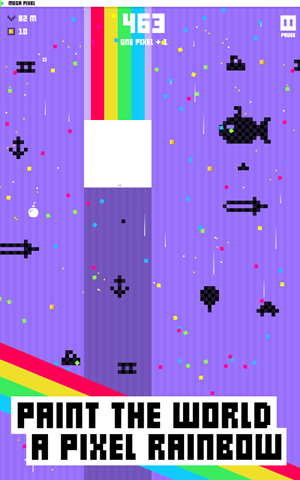 Master each descent to climb up the leaderboards and claim your place as the number one pixel! Grab coins to spend on game-changing headgear, bonuses, bombs and guns that’ll blast the pixels in your way, and much more. What mysteries lurk behind the Globalwall? 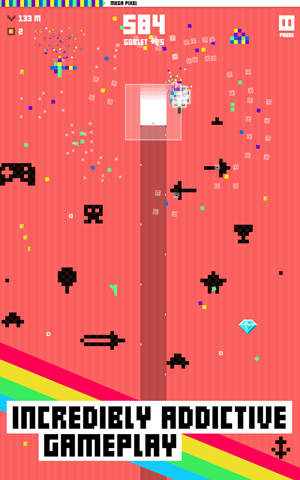 Players from all over the world are co-operating to chip away at the wall with every pixel they paint. Keep playing to earn cool rewards and see what secrets will be revealed.